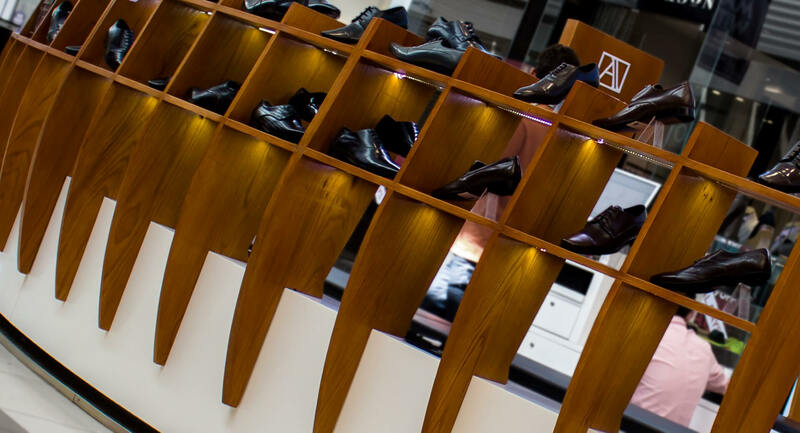 We gave this exclusive shoe retailer the gleam and polish of the finest pair of brogues. 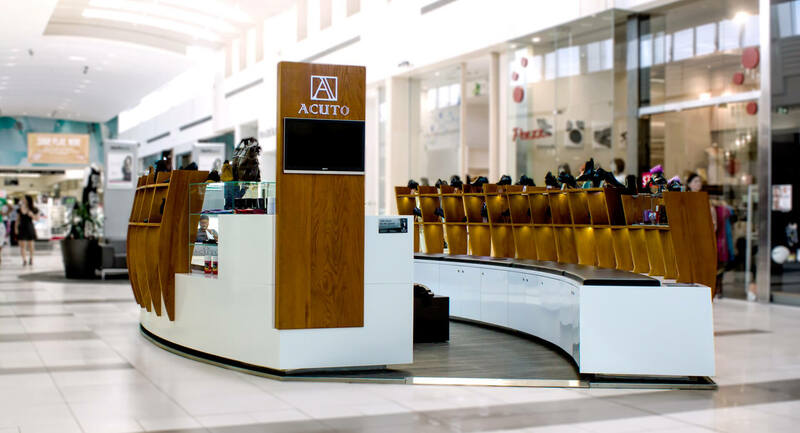 A solid white Corian base and solid oak timber structure with built-in LEDs showcase and illuminate every display of the kiosk. 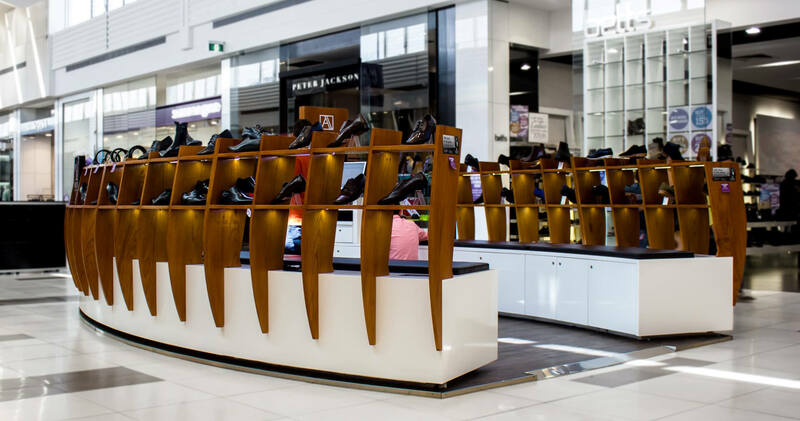 With no past branding to work off, we delivered a unique kiosk design with a real style statement..